The latest WAS talk can be found by clicking the title below, enjoy. The Wisconsin Archeological Society editors are soliciting for Archaeology Around Wisconsin 2017. We have already had one submission before we even asked for them. We always have a great response, and hopefully this year will be no exception. Please submit your individual or your organization’s short articles to vtwinde-javner@uwlax.edu, with authors names and organizations names. If your submission is from independent work, just list yourself as an independent researcher. The guidelines for submission can be found on the front page of the journal in regards to formatting, including photos and tables, but are also listed below. Please make sure the figures will meet the requirements below. Although we have been able to print more color photos in the past few years, due to costs we cannot print all submitted photos in color. So please consider that when submitting your articles and photos, and how your photos will look in black and white. Although some contributors ask to have their figures in color, and we try to accommodate, we cannot always guarantee that depending how the layout of the articles go for the final print version. Also, make sure to send figure and table lists in a separate document. Please submit your articles by Monday, March 19. Late submissions will likely be accepted if there is room in the layout. If you have a larger size submission, that may be more appropriate for a separate submission as a stand-alone article. Figures: Submit illustrations (numbered sequentially) as individual files rather than embedding them in the manuscript, and provide a separate list of figure captions. Electronic versions in standard graphics formats (e.g., JPG for photos, TIFF for line drawings) are preferred, with at least 300 dpi resolution at the intended size. If suitable electronic versions are not available, high-quality hard copies may be accepted; please contact the editors first. Tables: Submit tables (numbered sequentially) separately from the text, in either word-processing (MS Word, RTF, WordPerfect) or spreadsheet format (e.g., MS Excel). Please provide a list of table titles, and make sure table content is clear and concise and will fit on a standard page in finished form. The Wisconsin Archeology Society Awards Committee is pleased to invite applications from avocational archaeologists and archaeology students for the 2018 WASRA grants. The Society Board has allocated $500 for this program in Fiscal Year 2018. In accordance with the guidelines as posted on the Society web site at http://wiarcheologicalsociety.org/wasra individual awards will not exceed $500 and may be less. Applicants must be Wisconsin Archeological Society members for consideration of the application. The guidelines detail eligibility criteria and the application process, and they require complete packages submitted in digital format (pdf preferred) to heather.walder@gmail.com by March 15, 2018. The Committee will evaluate all proposals and announce award decisions at the Spring Wisconsin Archeological Society meeting. The guidelines also list obligations of those receiving awards. Available now is the latest volume of our publication "The Wisconsin Archeologist". 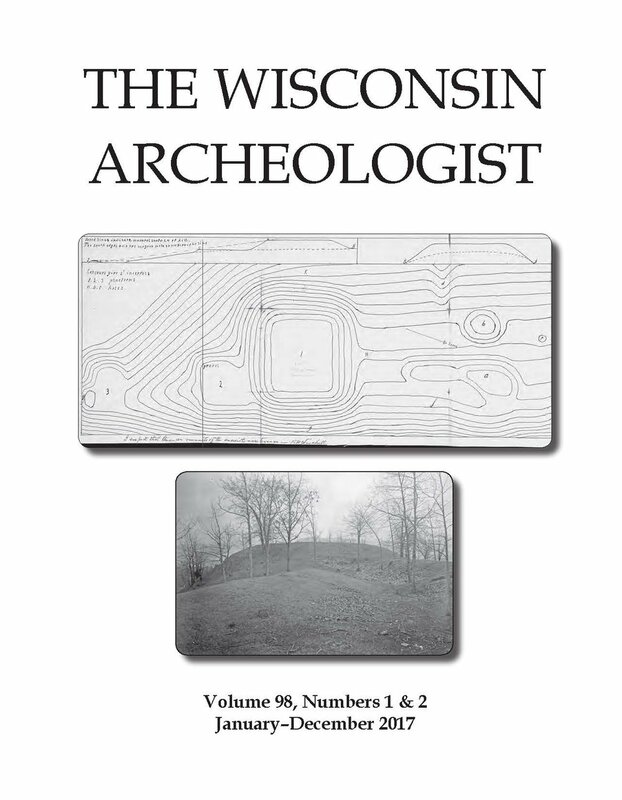 Volume 98 consists of a combined double edition (issues 1&2) and includes over 260 pages of new articles and the perennial favorite "Archaeology Around Wisconsin". This issue is available for immediate download as a PDF, or via the US Postal Service in print/hardcopy format (while supplies last). Click either of the above links for images showing the full table of contents. As always, the cheapest way to receive the "The Wisconsin Archeologist" is to be an active dues paying member of the Society. Membership categories are listed here and include the ability to easily join or renew online. In addition to the many other benefits of membership, most levels of membership offer a significant discount on the list price of the journal. For example, individual membership is only $30 per year compared to the $50 journal cost. Join or renew today to lock in your discount on volume 99 for 2018! The upcoming Winter Dinner will be hosted on January 10th at the Milwaukee Beer Bistro. The event will begin at 6:30 pm with a cash bar, appetizers and coffee, dinner will begin at 7:00 pm. This years featured speaker, Dr. Melissa Baltus, will be speaking on Neighborhoods of Cahokia - Excavations at the Spring Lake Tract. Please RSVP by January 2nd. Two options to RSVP include sending registration card and payment to Rob Ahlrichs or paying online here. Any questions regarding the diner may be directed to Rob Ahlrichs via emailat ahlrichs@uwm.edu. Join the University of Wisconsin-Baraboo/Sauk County and Friends of the Campus in honoring Dr. Thomas C. Pleger.